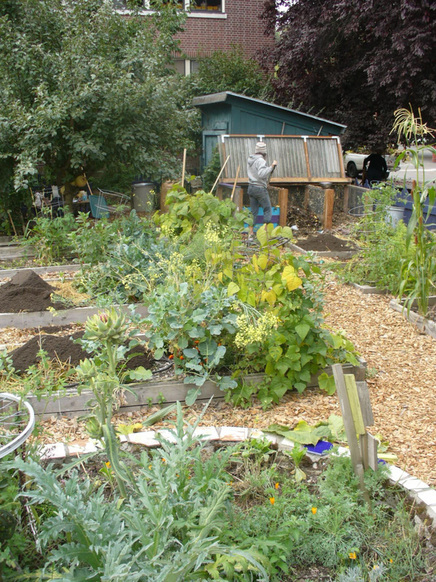 what Are people saying about school gardens? + Significantly increase science achievement scores. Klemmer, C. D., T. M. Waliczek, and J. M. Zajicek. 2005. Growing minds: The effect of a school gardening program on the science achievement of elementary students. HortTechnology 15(3):448-452. Smith, L. L., and C. E. Motsenbocker. 2005. Impact of hands-on science through school gardening in Louisiana public elementary schools. HortTechnology 15(3):439-443. + Improve social skills and behavior. DeMarco, L., P. D. Relf, and A. McDaniel. 1999. 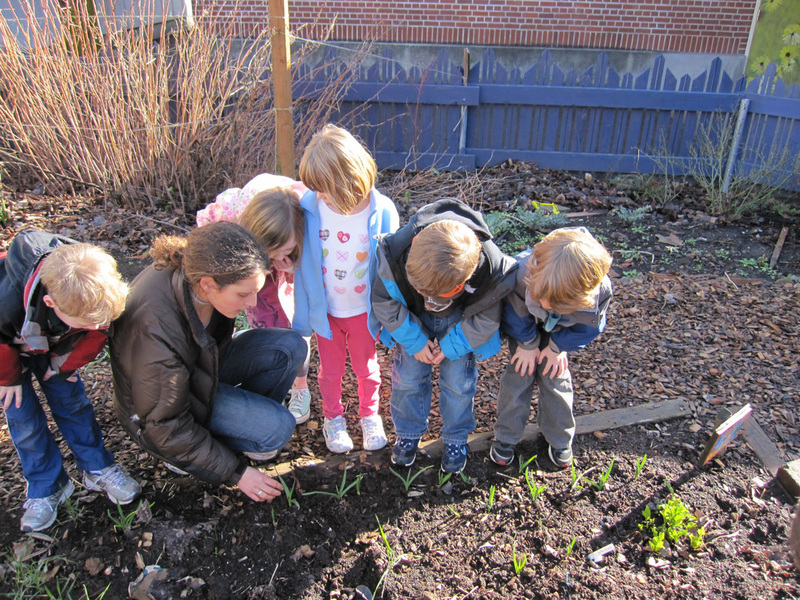 Integrating gardening into the elementary school curriculum. HortTechnology 9(2):276-281. + Improve environmental attitudes, especially in younger students. Skelly, S. M., and J. M. Zajicek. 1998. The effect of an interdisciplinary garden program on the environmental attitudes of elementary school students. HortTechnology 8(4):579- 583. + Instill appreciation and respect for nature that lasts into adulthood. Lohr, V.I. and C.H. Pearson-Mims. 2005. Children’s active and passive interactions with plants influence their attitudes and actions toward trees and gardening as adults. HortTechnology. 15(3): 472-476. + Improve life skills, including working with groups and self-understanding. Robinson, C.W., and J. M. Zajicek. 2005. 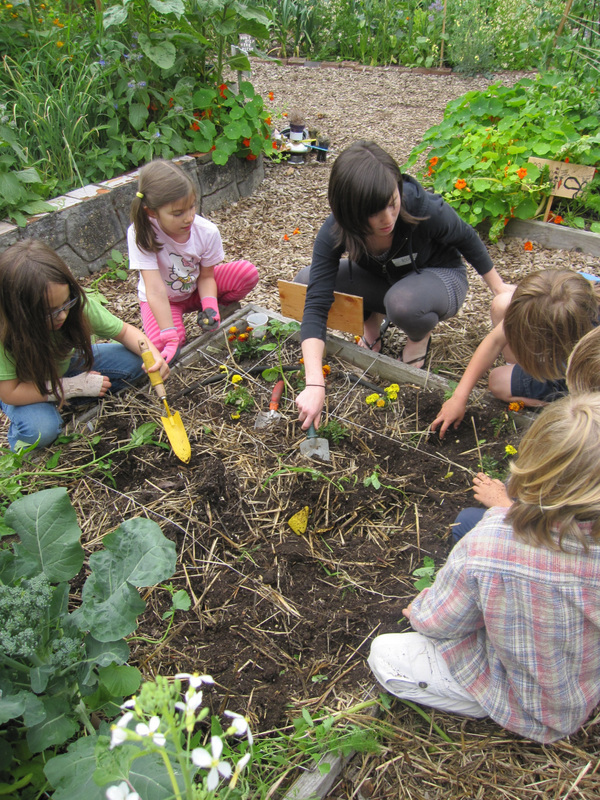 Growing minds: the effects of a one-year school garden program on six constructs of life skills of elementary school children. HortTechnology 15(3):453-457. + Increase interest in eating fruits and vegetables and improve attitude toward fruits and vegetables. Pothukuchi, K. 2004. Hortaliza: A Youth “Nutrition Garden” in Southwest Detroit. Children, Youth and Environments 14(2):124-155. Lineberger, S. E., and J. M. Zajicek. 1999. School gardens: Can a hands-on teaching tool affect students’ attitudes and behaviors regarding fruits and vegetables? HortTechnology 10(3):593-597. + Improve nutrition knowledge and vegetable preferences. Morris, JL and Zidenberg-Cherr, S. 2002. Garden-based nutrition curriculum improves fourth-grade school children’s knowledge of nutrition and preferences for some vegetables. Journal of the American Dietetic Association 102(1): 91-93. + Increase children’s knowledge about the benefits of eating fruit and vegetables and participants reported eating healthier snacks. Koch, S., T. M. Waliczek, and J.M. Zajicek. 2006. The Effect of Summer Garden Program on the Nutritional Knowledge, Attitudes and Behaviors of Children. HortTechnology 16 (4): 620-625. + Increase fruit and vegetable consumption in adolescents. McAleese, J.D., and L.L. Rankin. 2007. Garden-Based Nutrition Education Affects Fruit and Vegetable Consumption in Sixth-Grade Adolescents. Journal of the American Dietetic Association. 107 (4): 662-665. + Contribute to communication of knowledge and emotions, while developing skills that will help them be more successful in school. Miller, D. L. The Seeds of Learning: Young Children Develop Important Skills Through Their Gardening Activities at a Midwestern Early Education Program. Applied Environmental Education & Communication 6(1):49-66. + Have a positive impact on student achievement and behavior. Blair, D. (2009). 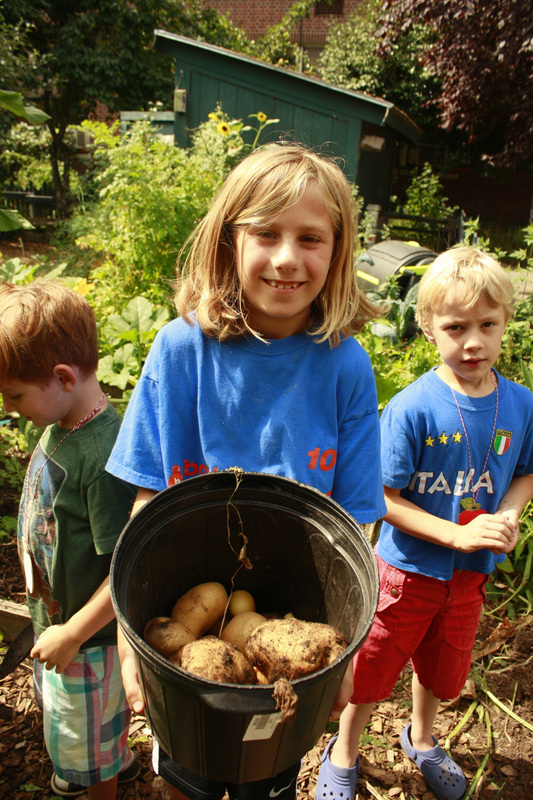 The child in the garden: an evaluative review of the benefits of school gardening. Journal of Environmental Education 40(2), 15-38.